When it comes to a business’ marketing and sales activity, every single marketing and sales team uses slightly different tools and technologies alongside their marketing automation platform, website and CRM. Some teams use two or three additional tools, whilst others have a full stack of tools and technologies to help them manage the more “intricate” aspects of their campaigns. But what is consistent across all of these teams is the need for those tools to synchronise and communicate with each other so that data can move freely between them, allowing for a clear, end-to-end view of marketing and sales activity. However, not every marketing automation platform, CMS or CRM allows for seamless, easy integrations, so when it comes to bringing them all under one roof, issues arise. As a result, marketers spend far too much time manually moving data or configuring third-party tools and software to get them working alongside their existing technology stack. Fortunately, HubSpot - the best and leading marketing automation platform on the market - provides native integration with a number of third-party tools and software packages via its HubSpot Connect library. The HubSpot Connect library is a growing repository of apps and web services that can be easily integrated with HubSpot. 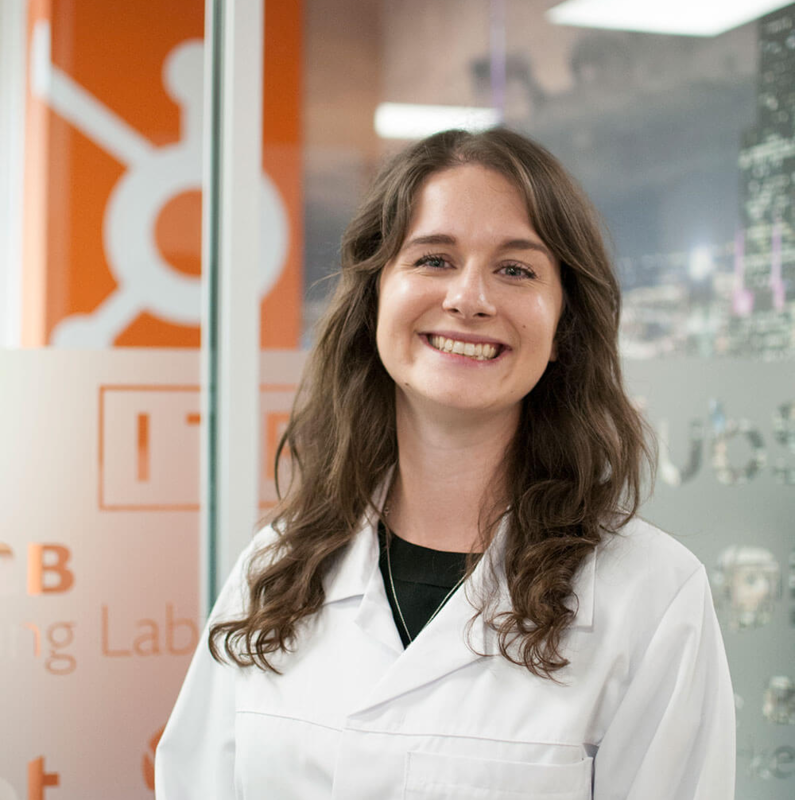 Via the HubSpot Connect library, you can easily set up and configure the integrations your business needs and set up your HubSpot portal for success. Any integrations with HubSpot will communicate with your HubSpot portal in real-time, allowing for seamless data capture and regular functionality, so you can use your required integrations without worry! HubSpot recognises that while it provides a number of powerful tools, it may not necessarily have the specific functionalities businesses require, and for that reason it has built its HubSpot Connect repository. 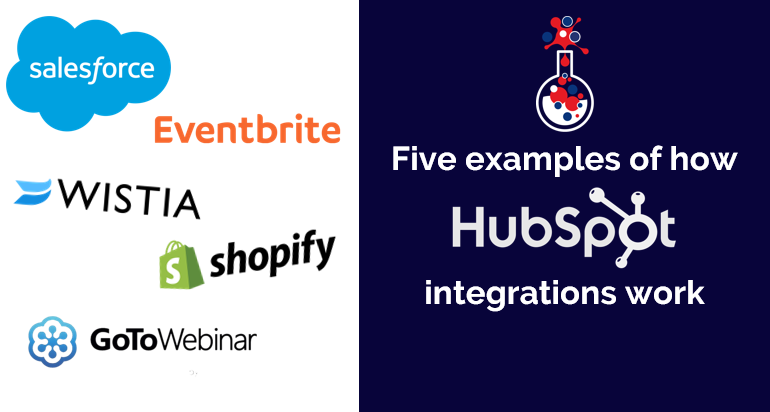 So, how do integrations with HubSpot work in practice? Here are a few examples of HubSpot in action with some of the top integrations. But what if you want detailed analytics to understand how your events were engaged with? And what if you want to re-engage with no-shows? HubSpot’s integration with Eventbrite allows you do just that, as well as collect new leads and track which contacts are registering for and attending the events you host. With the HubSpot and Eventbrite integration, you can easily create lists and workflows in HubSpot based on event registration status to re-engage with registrants who did not show, as well as nurture existing registrants (based on the events they have already attended) and close attendees. You can also see how registrants have engaged with your business before the event, as when they register via a HubSpot-hosted landing page connected to Eventbrite, their contact details are immediately added to your HubSpot portal. So, when they next visit your website and interact with it, that information will be added to their HubSpot contact record, making it easy for you to construct lead nurture programmes. The result is that you have a powerful tool for event management, and a powerful tool for automation and analytics, helping you to scale your activity and ultimately, generate more sales leads! Shopify is a leading ecommerce platform that provides you with everything you need to sell online, on social media, or in person. You can set up an online store, organise your products, customise your store front and much more. A challenge for marketers, however, is monitoring cart abandonments and contact interactions/activity on the website and using that information to fuel marketing and sales strategies. The HubSpot and Shopify integration makes this easy - and bridges the gap between your ecommerce activities and marketing efforts, giving you a complete view of your marketing and online sales activity. The integration enables you to sync your Shopify customers, products and deals into HubSpot, creating a single view of your activities for all your teams, making it easy to understand overall performance. For example, say a contact abandons their basket on your website - without the Shopify integration, you would not have visibility of that fact. However, with the HubSpot and Shopify integration, you can see which of your contacts in HubSpot have purchased products, as well as those which have abandoned carts. With this information you can then create a marketing campaign specifically targeting those who have abandoned their carts on your website and nurture them through to a point where they are ready to make a purchase. You can use HubSpot’s calls-to-action (CTAs) in content, workflows, ads and much more to help your business stand out and get contacts back onto your website taking action. The HubSpot and Shopify integration makes it incredibly easy for you to see online sales in HubSpot as deals, organise your sales activity and analyse contact behaviour on your website, automate your nurturing and scale up engagement, and much, much more. GoToWebinar allows businesses to deliver pre-recorded or live workshops and/or video conferences to audiences of up to 2,000 people. Sure, webinars are a great way for your business to generate high-quality leads, but do you have software or tools in place to engage with those leads and nurture them? With the HubSpot and GoToWebinar integration, you can easily sync your HubSpot forms with GoToWebinar, so that when a website visitor registers for your webinar, they are automatically added to GoToWebinar and HubSpot. it easy for you to manage your contacts and send out follow up or promotional emails. If a registrant does not attend, it’s recorded in HubSpot, so you can follow up where necessary. Finally, as your GoToWebinar registrants and attendees are synced with HubSpot, you can see how they behave on your website and any interactions they have on it. Using this information you can then segment, nurture and score your leads based on their webinar activity. Maybe you want to promote a past or future webinar to a specific list of contacts? No problem. It’s entirely possible. The HubSpot and GoToWebinar integration means that you will never (hopefully) have to import or export another CSV file of webinar leads again, and you can benefit from the sophisticated automation and analytics that HubSpot provides to improve your webinar activity. If you already have a CRM platform and it’s working for you, you will no doubt want to integrate it with your content management system and marketing automation platform - but without native integration, the process will be everything but seamless. However, if you are a HubSpot user, a number of the leading CRM solutions can be integrated with it, including Salesforce, Zoho CRM and Microsoft Dynamics. For example, the HubSpot and Salesforce integration allows for information to flow freely between the two systems - any time new information is added or existing information is changed, modified or deleted, those changes will be automatically reflected across both platforms. You can also set up your HubSpot portal and Salesforce CRM (or other chosen CRM) to keep specific leads separate. For example, you might only want to house your marketing qualified leads in HubSpot, whilst your sales qualified leads are in Salesforce. Essentially, you can choose which leads are automatically fed into Salesforce or HubSpot, so your marketing and sales activities are distinct and clear, leading to no overlap or duplication. Lead scores and lead intelligence from within HubSpot can be shared with Salesforce (and other CRMs) as well. Information such as email opens, form submissions web page visits, website activity and much more can all be redistributed to your sales team via Salesforce. Also, as information flows freely between HubSpot and Salesforce, when leads are closed as customers in Salesforce, that information and the revenue associated with that deal will automatically be transferred to HubSpot so that you can attribute the value of the deal to specific marketing efforts. And that’s just the tip of the iceberg. Such functionality is replicated with other CRM integrations, giving you more control over your marketing and sales processes within HubSpot. Creating a lot of Wistia video but want to turn it into a lead generating apparatus for your business? What about finding out what videos your website visitors are actually interested in? With the HubSpot and Wistia integration, you can turn your contacts’ video engagement and behaviour into data-driven insights to improve your marketing and sales activity. Using the integration, you can incorporate in-video forms to drive conversions. Anyone watching your videos will be presented with a form after a few seconds asking them to share their contact details in exchange for the video. Not only does this allow you to qualify those who are interested, it also helps you to generate high-quality leads through video content. When a viewer fills in the form and converts, they’ll automatically be added to your HubSpot portal as a contact, and all of their previous video viewing data - thanks you, cookies - will sync with their existing (or new) contact record. But that’s not all. Any viewing data that appears on a contact’s record within HubSpot can be further investigated. You can analyse each video record to see viewers’ heat maps and overall video engagement to help you determine what your contacts are actually interested in. Another neat feature is the ability to segment and score leads based on their engagement with your videos. For example, how many of your contacts viewed a specific video or clicked on a specific CTA. You can then use this information to create smart lists in HubSpot, as well as enrol contacts in workflows based on their video engagement and/or lead score. If you want to go a step further, you could then set up automated notifications to alert sales representatives when certain leads are watching certain videos - perhaps bottom-of-the-funnel videos such as product demonstrations - to help them know when to engage. The HubSpot and Wistia integration gives you significantly more control over your video and allows you to leverage the power of analytics and automation to generate more quality leads for your business. As an all-in-one marketing and sales tool, HubSpot is no doubt brilliant - but as mentioned at the start, there is no one-size-fits-all approach when it comes to marketing and sales. Every business of every size will have its particulars - aspects of their marketing or sales that require specific tools or software - or maybe it’s just a preference! Either way, HubSpot’s growing library of integrations allows you to extend your marketing and sales power and use the software and tools you need to deliver business results. If you need help integrating a tool or piece of software, or just want to set up your tools correctly, please get in touch and we will see how we can help!